Newhaven Lifeboat RNLB Daniel L Gibson was launched to assist a tug towing two houseboats in trouble in the Channel. Upon arrival at 5.12pm yesterday, the volunteer crew realised that little could be done for one of the 22m houseboats, which sunk 20 minutes later. 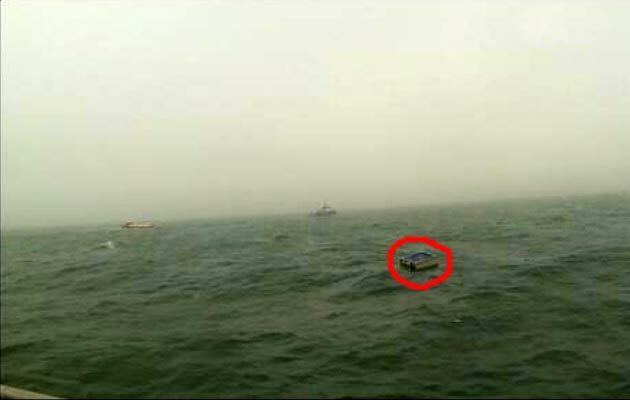 Lifeboat and tug crew managed to collect some of the debris left floating, marked the area with a buoy and informed Dover Coastguard of the location of the wreck and debris field, including a hot tub adrift.